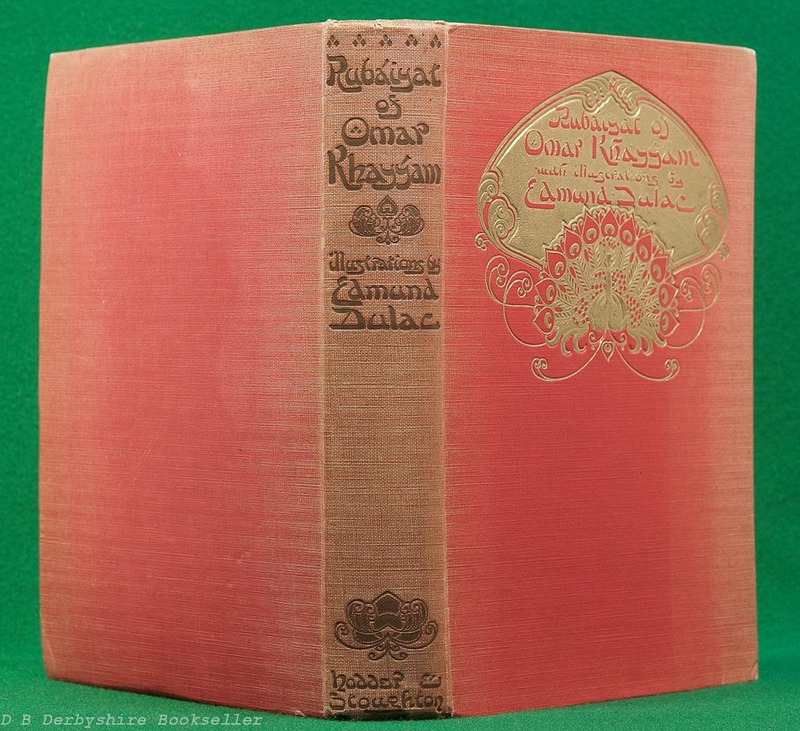 The Dulac illustrated edition of the Rubaiyat was first published 1909 with twenty colour plates. 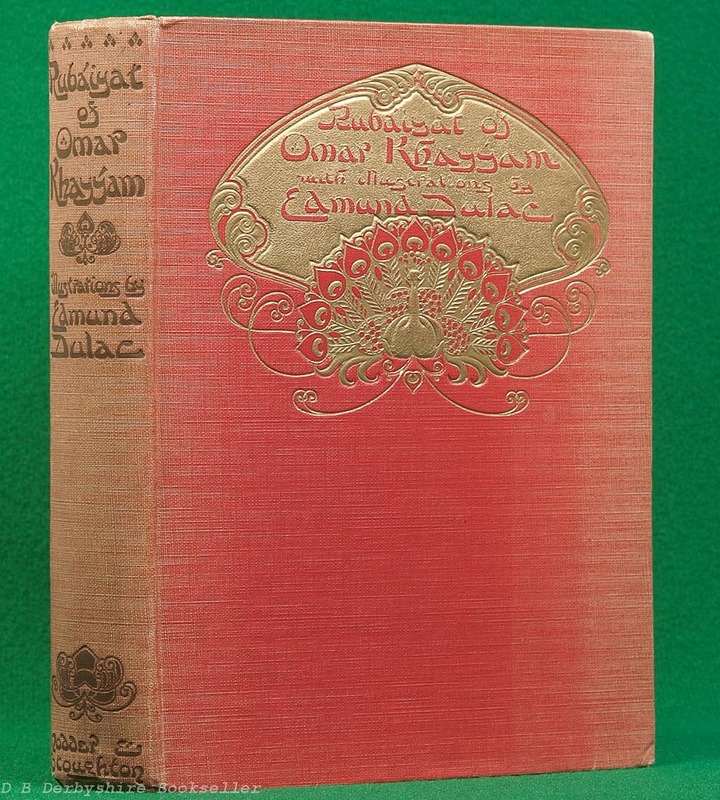 A smaller format ‘popular’ edition in red cloth with twelve plates appeared in 1914, being reprinted several times (with variations in endpapers, ink colour, plate mounts, size, &c.) over the next decade or so and always difficult to date unless there is a helpful contemporary inscription. 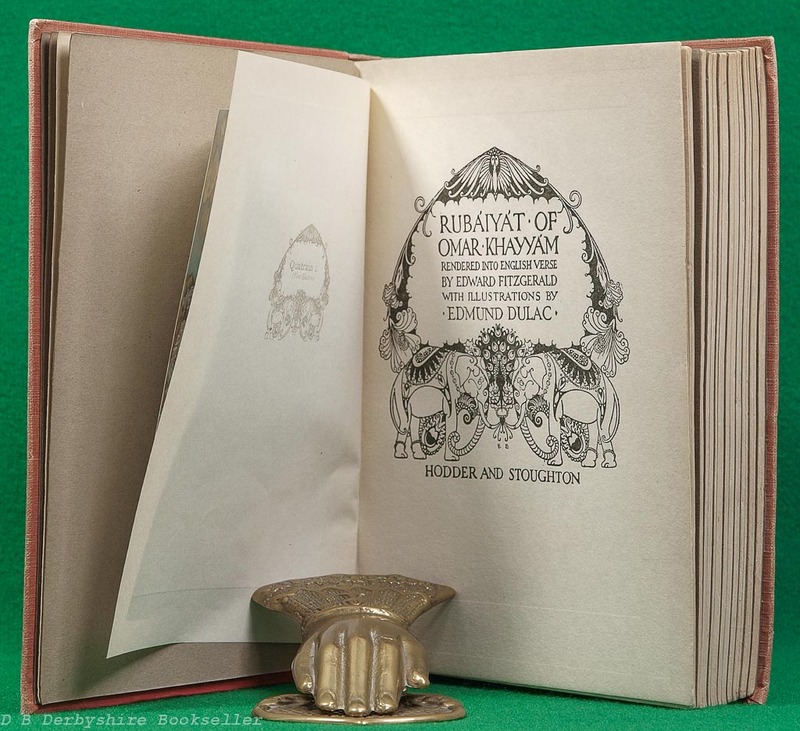 For reference: Printed in Great Britain by Turnbull & Spears, Edinburgh [title page verso]. 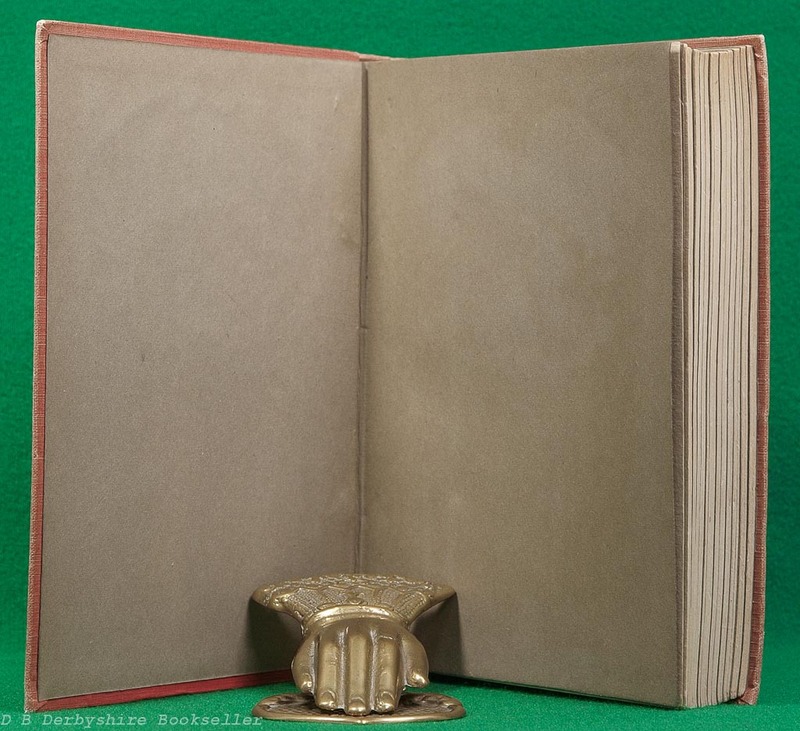 Hardback – publishers cloth with gilt design and title to front board, title and design (dulled gilt or greyed black?) to spine. 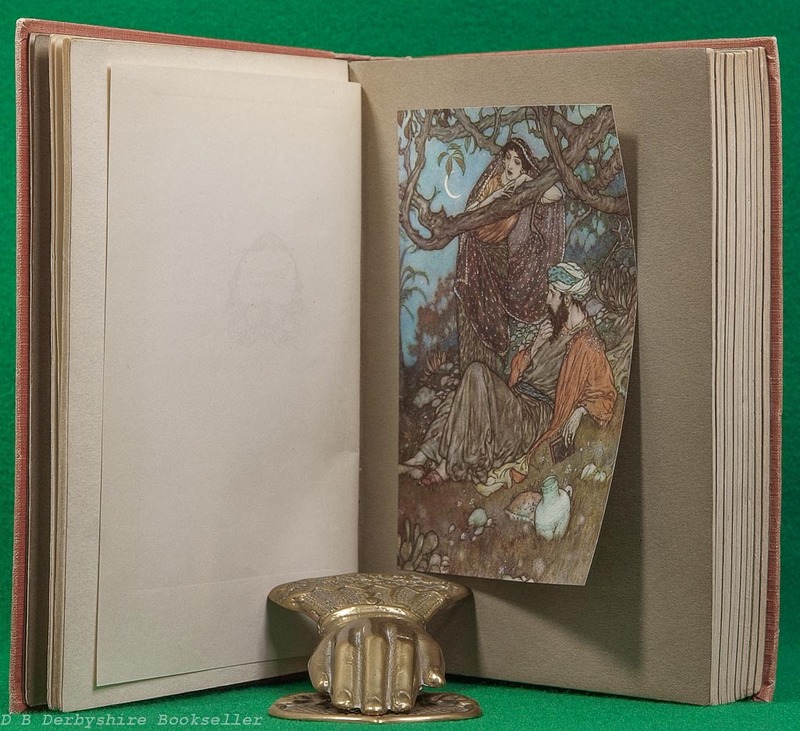 viii, 189pp plus 12 tipped-in colour plates mounted on grey card. 8 x 6.25 inches approx. (204mm x 157mm). 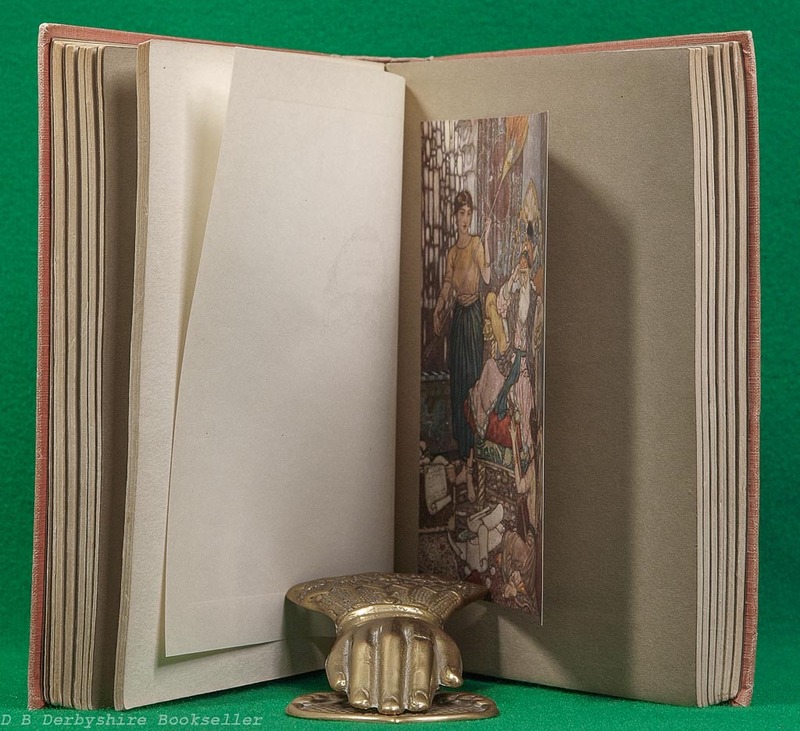 Covers rubbed and worn, some bumping to corners and spine ends; cloth faded especially to spine. 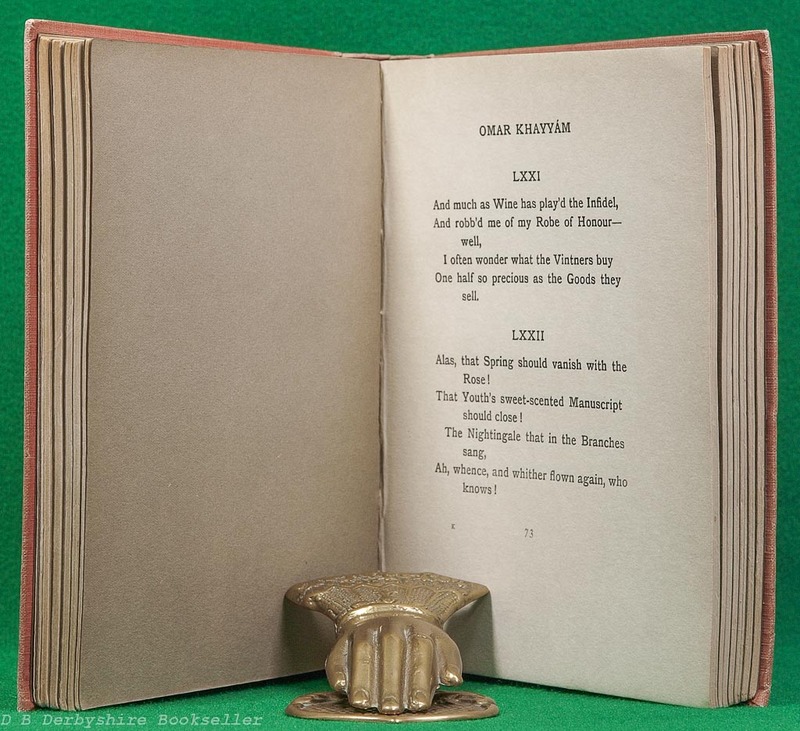 Front endpaper showing some discolouration and offsetting (mirroring design on front board); pages a little dusty and with occasional foxing throughout, but generally clean. Overall, showing wear but remains a reasonably nice copy. *ref. 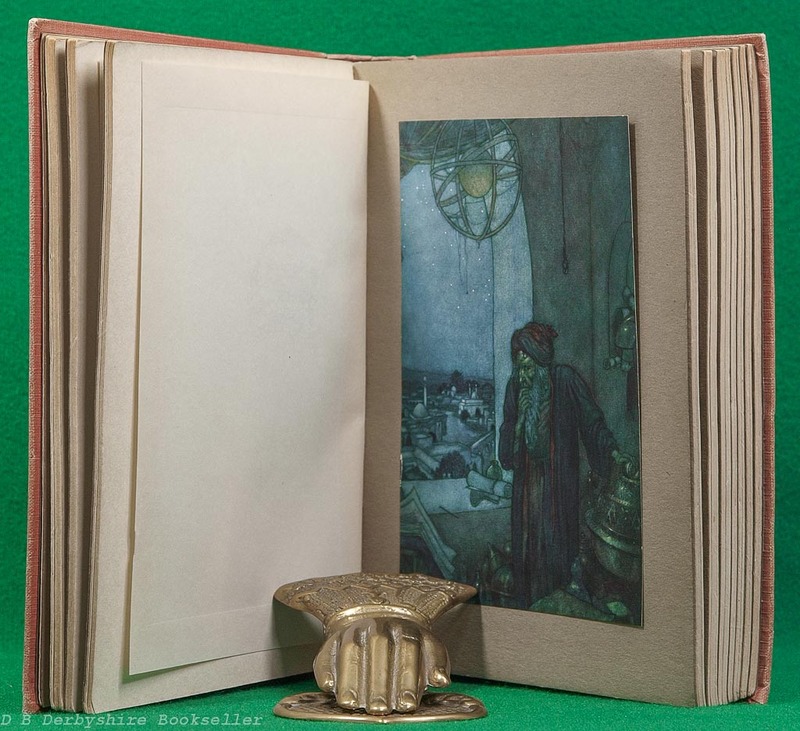 Ann Conolly Hughey, Edmund Dulac – His Book Illustrations: A Bibliography (Buttonwood Press, 1995).